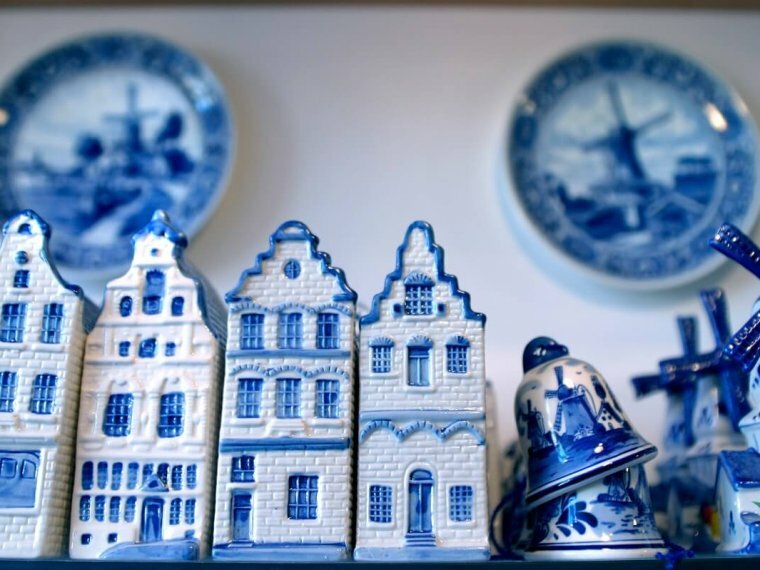 When you think of Delft, you think of Delft Blue. And rightly so! 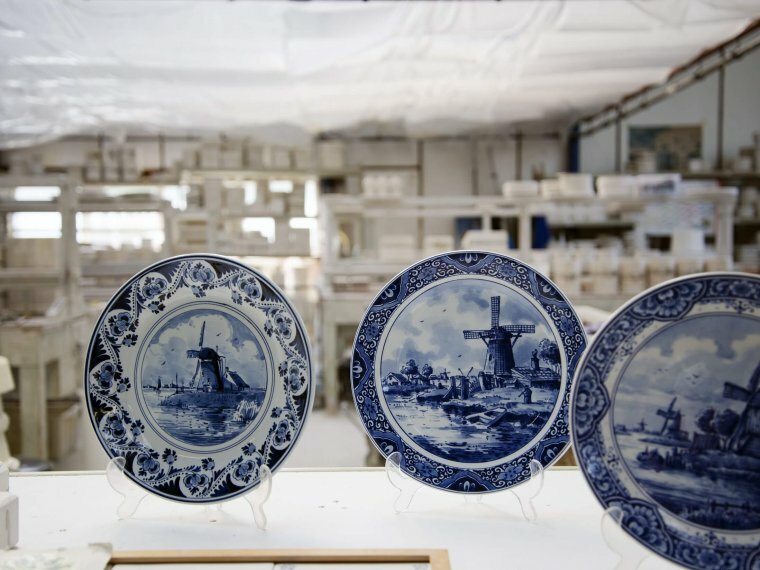 Delft ceramics have been world-famous ever since it was first made the 17th century, and you can still see how Delft Blue is made in the authentic way in Delft today. 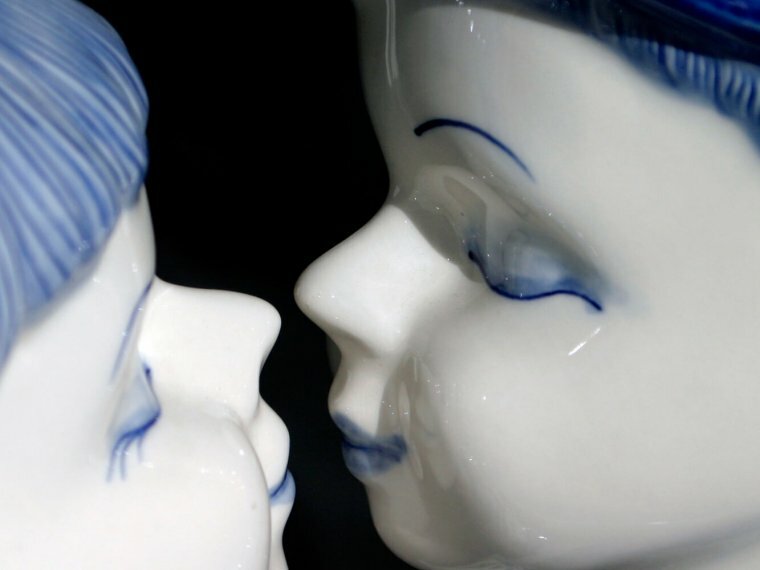 Delft had more than 30 earthenware factories back in the Golden Age. 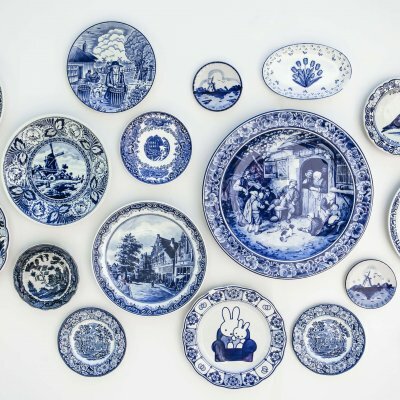 Today you can still see and experience how Delftware ceramics are crafted in the traditional way at Royal Delft, the only remaining earthenware factory from the 17th century, at Delft Pottery de Delftse Pauw, and at a smaller pottery called The Candelaer. 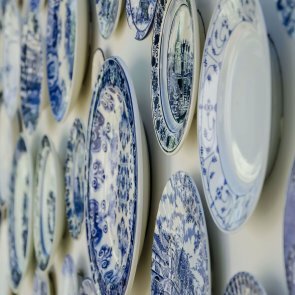 In the museum, which is situated in the wonderful St. Agathaplein, you can discover the history of Delft, and thus the origins of Delft Blue, in an interactive exhibition. 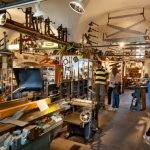 Fun and interesting for both young and old. Tip: across from the museum you will find the Kunstsuper Delft. 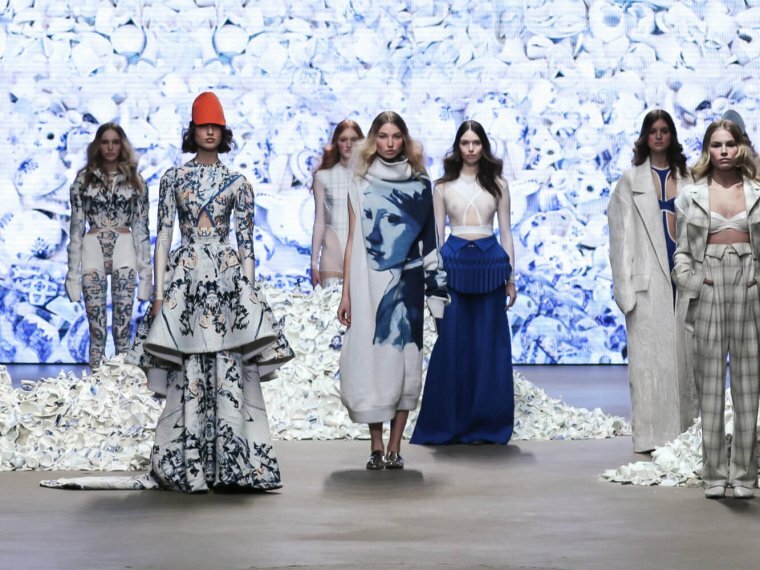 It has a whole range of original artworks on offer, a lot of which is inspired by Delft Blue ceramics. Admire the three porcelain lampposts, painted in the traditional Delft Blue style, under the old chestnut trees. In this centuries-old city square, they create a beautiful contrast between ‘old’ and ‘new’. In the adjoining Prinsentuin, you will find the ‘Homage to Gaudi’, a Delft Blue ceramic bench in the style of the famous Catalan architect. 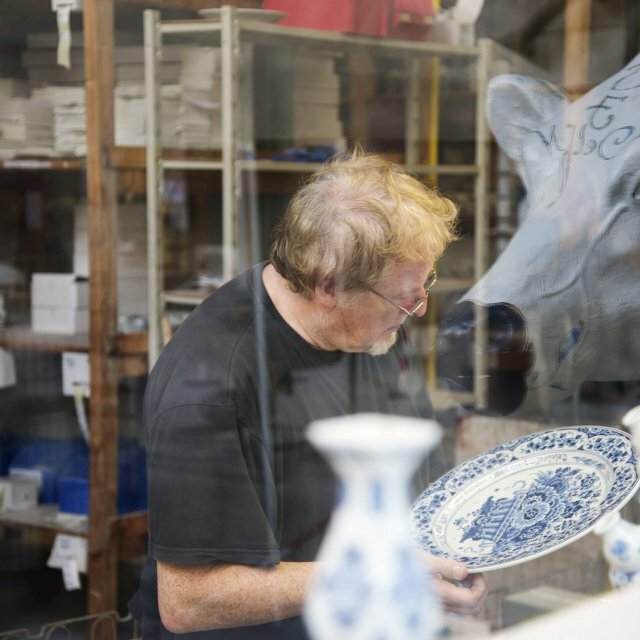 In the heart of the city, you will see plenty of Delft Blue items on display. 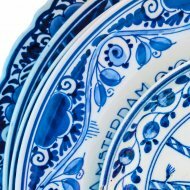 From genuine Delft Blue ceramics to all types of fun souvenirs. 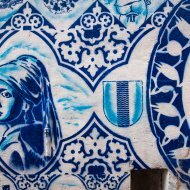 At The Blue Tulip and Madame Blue you can see how Delftware is painted and decorated in the traditional way. Local residents in the most romantic square of Delft created a Delft Blue mosaic together with artists in 2010. In combination with the friendly street cafes, this square is definitely worth a visit. Then follow the 300 blue and white ceramic cobblestones that will lead you to numerous ceramic artworks and galleries around Delft. 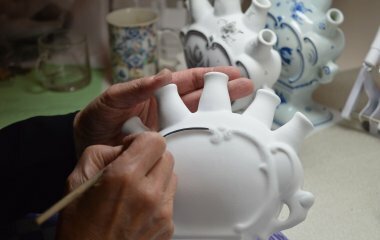 This Route of Ceramic starts at the St. Agathaplein and ends at Royal Delft. 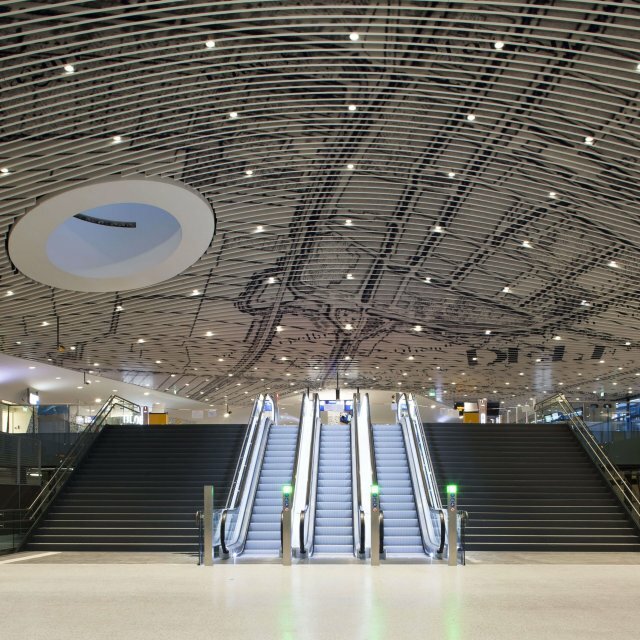 A folder about the route with descriptions of the artworks can be obtained from the VVV Delft.